Your first step is to fill out the Free Application for Federal Student Aid or FAFSA. 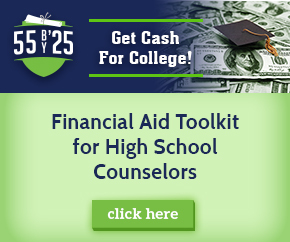 The FAFSA provides access to over $150 billion in grants, loans and work-study funds from the federal government. Get started on your FAFSA now. Here is a list of upcoming financial aid events. Please also check with your student’s post-high counselor to see if the school has any scheduled FAFSA workshops as well. What to do if I'm selected for verification? 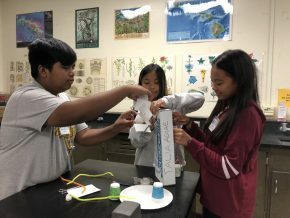 The Hawai‘i Promise Scholarship Program is a need-based scholarship program designed to make college affordable to all qualified Hawai‘i students. The program provides financial assistance to help meet the direct educational costs of University of Hawai‘i (UH) Community College students who are enrolled at least half time in an eligible academic program. The “last dollar” scholarship is based on FAFSA-determined criteria and is applied after all other grants and scholarships have been awarded. It helps fill the financial gap for the direct educational costs of qualified students. Students may be eligible up to the amount of the total cost of UH direct costs including tuition, fees, books, supplies and a standard transportation allowance. Click here to find out more about the Hawai‘i Promise Scholarship. Talk to your teacher about your grades and areas you can improve upon. If you are struggling, ask for help.